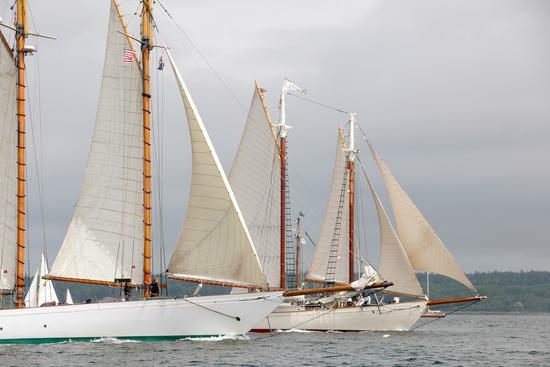 A fleet of schooners, sloops and gaffs raced across Penobscot Bay August 4 in the 32nd Eggemoggin Reach Regatta, the third and largest in an annual three-day wooden boat regatta series that includes the Castine Classic and the Camden Classic. Pictured, Schooners race down the Reach during the Eggemoggin Reach Regatta on August 4. For further coverage of the race, see our sports website.